When I made aliyah from Montreal, I never planned to teach English in an Israeli classroom. Aliyah was about leaving Montreal to become Israeli, rather than bringing a piece of Canada here with me. I soon discovered, however, that since everyone wants to speak English, teaching English is a much sought-after profession. As it turns out, it’s also a great day job for a writer. I began the new school year by writing vocabulary words on the white board. The day’s assignment was to define and use certain phrases: “What is a relief map?” I ask them, quite certain they will be unfamiliar with the three dimensional map that portrays the ups and downs, mountains and valleys, of a geographical terrain. A hand goes up. A boy in the back. It’s always the boys in the back who give me butterflies in my stomach those first few weeks of school. We haven’t had our meetings with their homeroom teacher so I don’t know the family history of each student, which child might have lost someone close during this summer war in Gaza, which child might be struggling through their parents’ divorce, or who might be trying to hide socio-economic issues under fake designer labels. There is still so much I have to learn before I can become an effective teacher. For now, each student before me is a tabula rasa. I have to ask their name when they raise their hands; I still have not matched the wire-framed glasses, the dimpled cheeks, or the intense hazel-green gaze to the names on my list. The week before school began we watched a video of a lecture about how it is better to encourage a child by complimenting his or her efforts rather than saying how smart they are. Giving someone credit for their effort reinforces the idea that it is important to try, even if you don’t always get it right. My hand automatically reaches for my back pocket where my “relief map” should be. “I could really use one of those,” I tell my student. I also tell him it’s a great idea, but not what the term actually means. 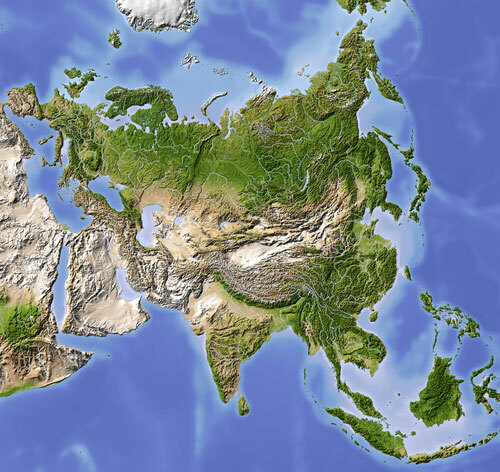 I wonder aloud to my students: If we made our own relief maps, what would we put on them, and would they always lead us back to the same spot? To our safe place? I recall a discussion I had this summer with an oncologist friend of mine, who is a doctor at Soroka Hospital, near the border with Gaza. This summer he worked with wounded soldiers. Using hypnosis to relax his patients, he guided them mentally to their “safe place.” According to Asher, we all have a safe place, we just don’t always think to go there when we are experiencing stress. Shuffling back to class, I share a giggle with my students about our post-summer missile jitters. Some confess that they knew it wasn’t a missile siren. They saw an opportunity to skip the last 15 minutes of the lesson and took it. And on the day of the actual drill? Well, kids are still kids, and there is a lot of pushing and jostling and “cut that outs” heard as we crowd a few hundred students into a very claustrophobic “safe place,” away from the dangers of shattering windows. There are practical things I must explain to my students: where to go if there is a missile alert or if there is an earthquake, for example. But this year, I will also remind my students that in times of stress, reach for your other map: Learn where your safe place is and how to find your way there. I muffle the shrill sound of the siren and cool the hot sticky air by transporting myself to Mount Royal in Montreal, my safe place, still my home, though far away–and I think, how I wish I could take my students there with me.